Description The ending of the 1st Act of Puccini's masterpiece, transcribed directly from the opera. The Harp has an exact transcription of the opera part, thus giving the harpist a unique chamber music opportunity. 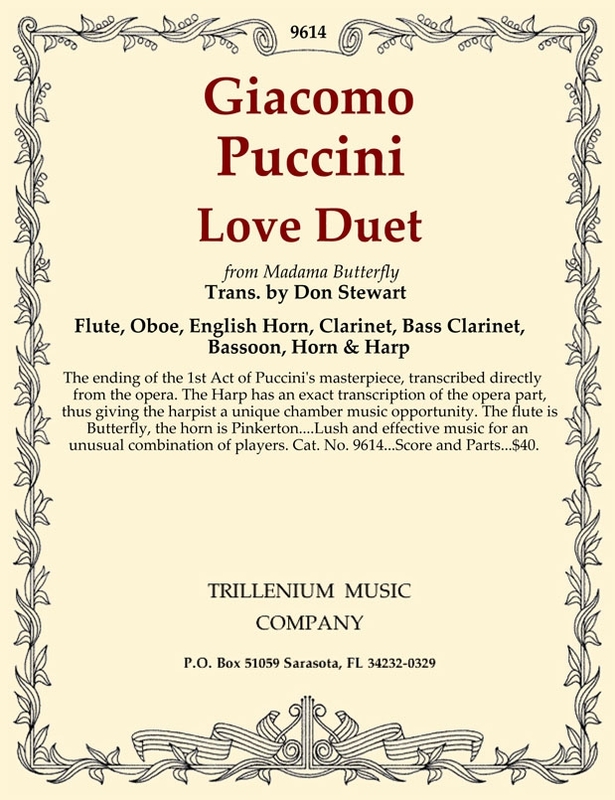 The flute is Butterfly, the horn is Pinkerton....Lush and effective music for an unusual combination of players. Cat. No. 9614...Score and Parts...$40.